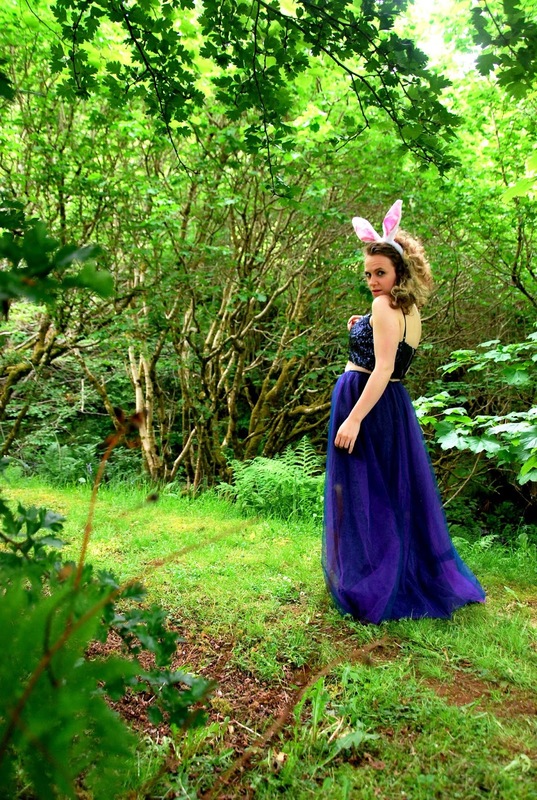 Seemingly wholesome island lass Cat Loud is still on the prowl for her next big adventure. A chance stumble down a rabbit hole into a secret speakeasy introduces her to the whole gang of unlikely heroes; the queers, pioneers and independent souls who don’t take “girl” for an answer. Discovering this dark underworld, Cat’s life takes a turn for the wicked. 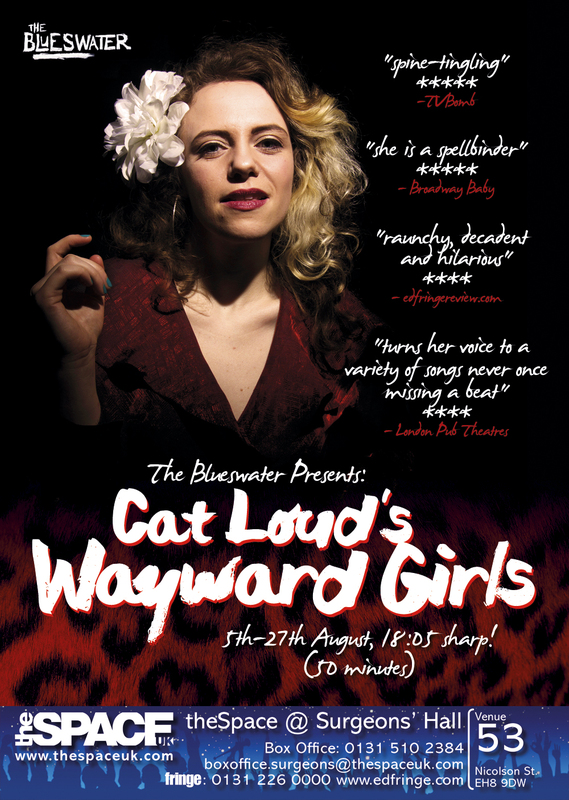 Following the trail blazed by the likes of Camille O’Sullivan, Bette Midler and Lady Rizo, Cat Loud’s blend of storytelling and song is comic and heartfelt, entertaining and poignant. 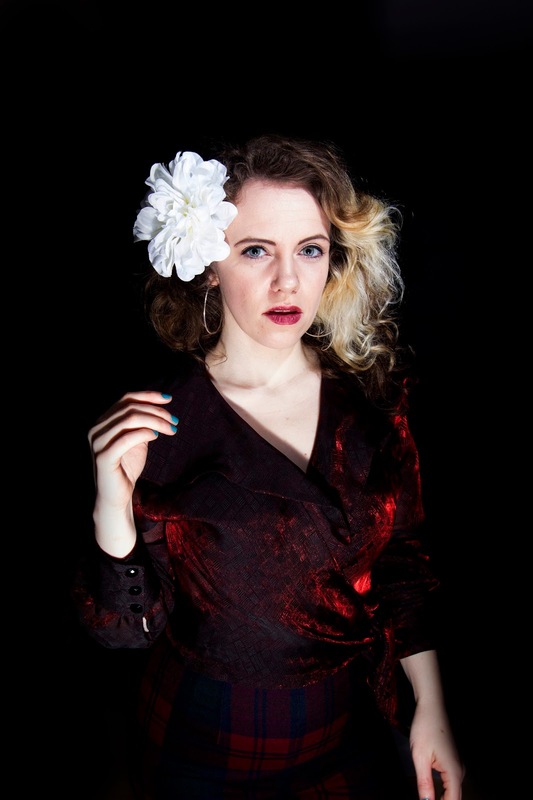 She puts her soulful and humorous stamp on an unlikely collection of contemporary and classic songs, straddling the genres of blues, disco, jazz and pop from her favourite wayward girls and other artists who capture the spirit of sexual rebellion and hard-won self-awareness and freedom. 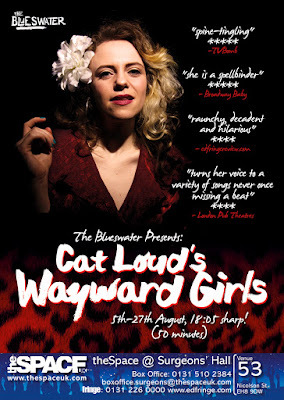 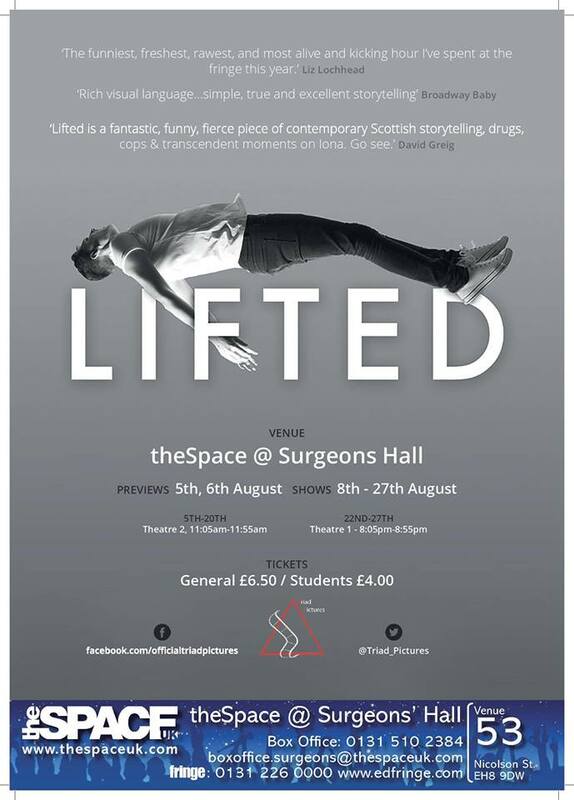 After the success of Cat Loud’s Big Night In, her five-star debut solo show, Wayward Girls premieres at the Edinburgh Festival Fringe 2016 and is an intimate cabaret with live musical accompaniment from award-winning blues collective The Blueswater.